Tigers from all over the country converged on South Florida for the Orange Bowl. And the South Florida Clemson Club was in the midst of all the activity — organizing, helping, hosting and welcoming alumni and friends. More than 100 alumni and friends were in South Beach Thursday night at the Clevelander, where the landscape was purple and orange, and a Tiger Paw was projected on the side of the building and in the hotel’s swimming pool. At Bokamper’s in Fort Lauderdale, more than 75 joined up to celebrate the Tigers and meet up with old and new friends. The morning of the Orange Bowl began with an alumni brunch at the Fontainebleau Miami Beach with more than 300 in attendance. James Clements addressed the Clemson Family for the first time as University president. He thanked the Barkers for their many contributions to Clemson and shared the significance behind Clemson’s rise in the national rankings. More than 2,000 Clemson Family members gathered at the One Clemson tailgate inside the Sun Life Stadium prior to the game. The Clemson band, cheerleaders and the Tiger made appearances, and President Clements welcomed guests as they prepared to cheer the Tigers on to a 40-35 victory over the Ohio State Buckeyes. Two student bloggers, Savannah Mozingo and De Anne Anthony, traveled to South Florida to capture and share the excitement of Orange Bowl week on their blog, TigressTales. Access their blog and hear President Clements’ remarks at clemson.edu/clemsonworld/orangebowl. Clemson in the Lowcountry at the University’s Wind Turbine Drivetrain Testing Facility in North Charleston. 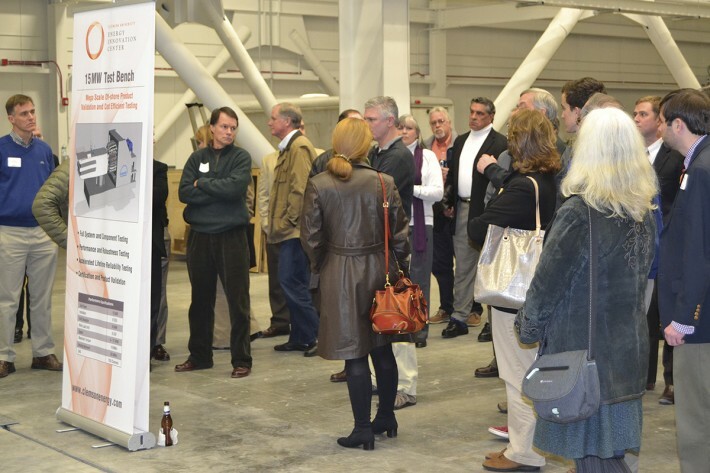 More than 300 people gathered for dinner and a meeting where Nick Rigas, director of the SCE&G Energy Innovation Center and executive director of the Clemson Restoration Institute, spoke at the University’s Wind Turbine Drivetrain Testing Facility in North Charleston. The meeting attendance on Jan. 23 doubled the Clemson in the Lowcountry Club’s normal attendance rate. Eddie Gordon is president of the club. More than 350 turned out for the Greenville Club’s Blue Chips and Bluegrass event, a recruiting recap and oyster roast held Feb. 7 at the Crescent in downtown Greenville. Club president Rick Ammons and club member and event organizer Chris McCameron presented IPTAY with a $2,500 check for the Glenn Brackin Memorial Scholarship. The event featured Mickey Plyler from 104.9 Talk Sports, who spoke about recruiting, and The Drovers Old Time Medicine Show entertained the crowd with bluegrass music. The Aiken County Club held their Recruiting Wrap-Up event Feb. 6 at the Aiken Municipal Building, where more than 50 people heard Larry Williams from Tigerillustrated.com speak about recruiting. Tripp Bryan serves as Aiken County club president, and Bryan Young is vice president. The Alumni Association has named retired assistant athletic director John Seketa as an honorary alumnus in recognition of his hard work and devotion to Clemson and the Alumni Association. Over the past 28 years, Seketa served as game manager during home football games, coordinating all game-day activities for Clemson athletics, Tiger Band, the University administration and several student groups. He also was executive director of the Tiger Letterwinners Association, where he expanded football reunion activities and Athletic Hall of Fame ceremonies, significantly increasing attendance. In 2004, Seketa received the ACC Basketball Officials Association Fred Bakarat Award for outstanding service and dedication to the ACC and its basketball officials. Seketa also played a crucial role in making Military Appreciation Day a celebrated campus tradition. Two years ago, ACC administrators invited Seketa to share his expertise in Clemson’s military recognition, resulting in similar observances of Military Appreciation Day at every ACC institution. “There is no question that John Seketa’s leadership has established Clemson as the best in the nation with regard to our Military Appreciation Day,” said D’Andrea. Seketa continues to serve the University as a member of Tiger Brotherhood and the Clemson Corps Scroll of Honor Committee. 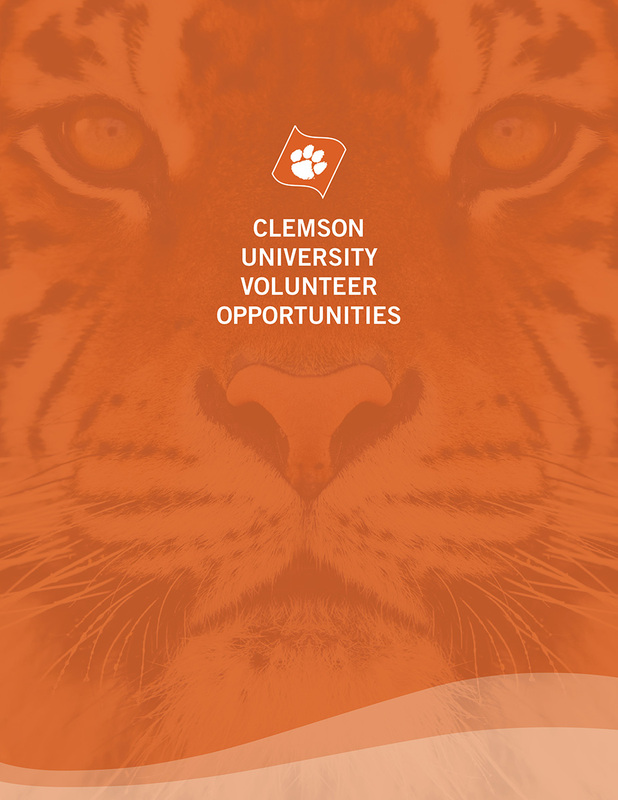 The Alumni Association wants to ensure we have accurate contact information for all alumni so that we can keep everyone informed about all things Clemson, all the time. And to do that, we need your help. Simply go to clemson.edu/alumni and click the “Update Your Information” button. Then post on your social media outlets that you updated your contact information with Clemson, and use the hashtag #TigerRollCall in your post. A monthly drawing will take place during May, June and July for everyone who submits an update. Additionally, each person who shares on social media using the hashtag #TigerRollCall will receive an additional entry (maximum two entries per person). At the end of the campaign, a final drawing will take place with a grand prize of two Alumni box seats to the Clemson vs. North Carolina football game on Sept. 27.